It can be so extremely frustrating when you have plans and the doors on your BMW won’t unlock. Your locks are meant to keep others out, but now you cannot get in either. What can cause your door locks to fail? No matter what brand of car you buy or how much you pay for it, they all have quirks. BMW has the reputation for superior quality, but it too has its own issues, like faulty door locks. If your locks begin acting up, it is a good idea to give us a call right away so we can take care of your issue before you get stranded. If you are able to unlock your doors manually by hitting the lock button, but you cannot unlock them with your key fob you probably have an issue with the key fob. This can sometimes be a simple fix, and all you need to do is replace the battery. If a new battery doesn’t fix the issue, it could either be the programming in the fob or a faulty fob itself. You can easily order a new key fob. Most people don’t even know that cars have fuses, and they can blow. Just like in a building, a fuse can blow and that can affect your door locks. If you are only having an issue with one door, this is a good sign that you have a blown fuse for that door. The door lock actuator is a part that is used to tell your car to lock and unlock. No matter if you are using the lock button or using your key fob, the actuator controls the locks. If you are having an issue with the door lock actuator you will have an issue unlocking your doors, no matter what method you use. Door lock actuators don’t generally go bad overnight. Over time they will wear out from normal everyday use. There are some signs to look out for that can help you know when your actuator is failing. Your doors may begin to lock and unlock on their own, or you may hear noises coming from the locks. Bad wiring can also be the culprit. Wiring can wear out due to age and use. To fix this problem the electrical issue needs to be located and the wiring needs replaced. This will likely involve taking your door apart. When you have an issue it is important to hire a trained mechanic that knows the ins and out of your BMW. Here at Hayes European, our highly trained technicians can solve your door locking issue. You can rest assured that when you bring your BMW to Hayes European you will receive excellent service. We offer model-specific services, so you will receive the best possible service without any extra costs. 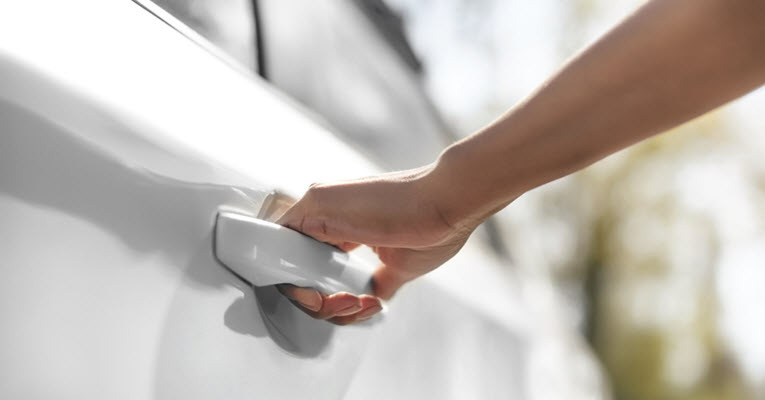 Whether you are having door lock issues or are in need of routine service, our expert mechanics will make sure your car gets the service it needs. We provide dealership quality service without the high costs. Our technicians are experts in luxury European, Japanese, and American autos. All of our repairs are performed using the latest diagnostic equipment and factory special equipment. Our staff is friendly and patient and are always available to answer any of your questions. We understand that you love your car and want it taken care of. We will provide you with personalized service and take care of any issues that we can. We also know that having your car in the shop can be inconvenient, so we want to make things as convenient as we can. That is why we offer free shuttle service within a 10-mile radius, and an after-hours key-drop box. are you in need of routine services? Here at Hayes European, we can take care of all of your BMW needs. If you are in the Santa Cruz, Aptos, Soquel or Capitola, CA areas, give us a call to schedule your appointment. We can be reached on 831-200-1938. Or you can find us at 1010 17th Ave., Santa Cruz, CA 95062.